Simoldes Plasticos is the biggest manufacturer of synthetic casts in Europe. 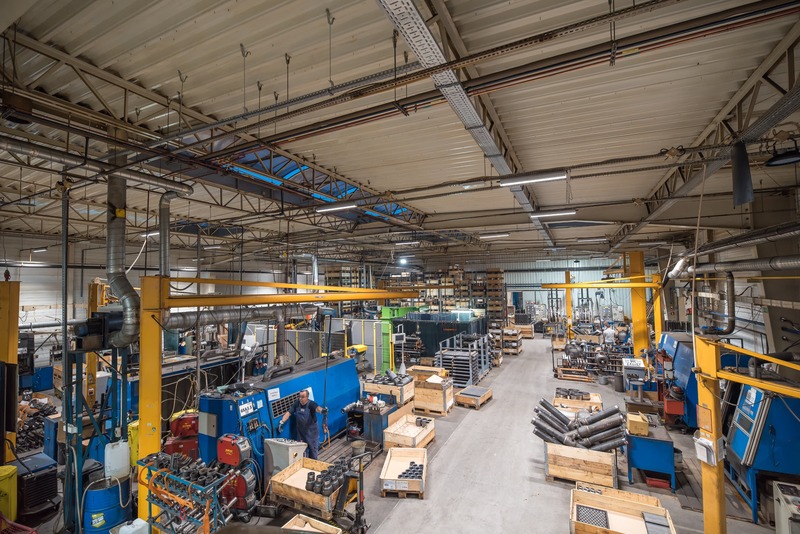 The Group is present on the market for almost 60 years, the production plant located in Jelcz-Laskowice is operating since 2004 and employees almost 300 workers. The company is an expert in the field of castings and injection molds. In 2006 a set of corporate rules was prepared and implemented in branches all around the world. The 5S methodology was officially incorporated: sort, set in order, shine, standardize, sustain. 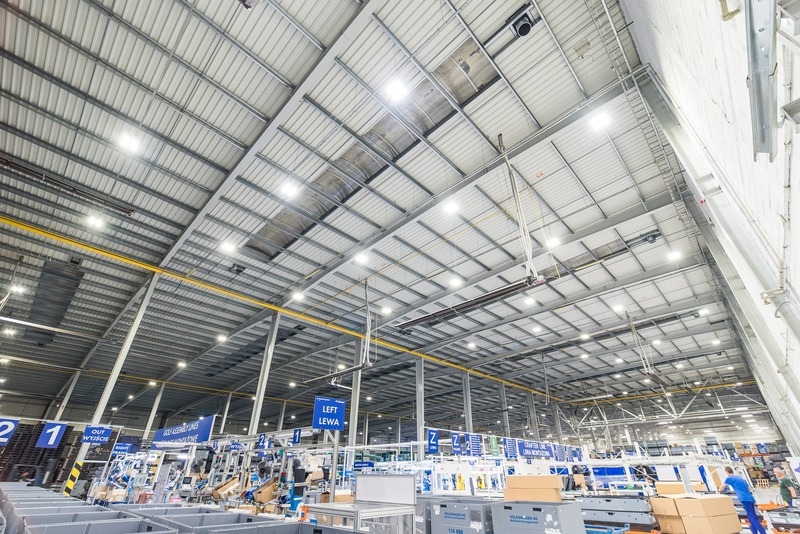 The 5S methodology plays also an important role in our actions – during the energy audit, light design and fixture upgrade. How to upgrade the lighting system during the production process? should be conducted between 23:00 and 5:00. To ensure workers safety during the manufacturing process, special zones and grids were established. On account of a gantry, we needed to place a scaffolding, which allowed us to reach hard accessible places to mount the new lights. All actions were discussed and coordinated with the Maintenance Technician, to ensure safe work conditions. The upgrade took a month and was a huge logistic challenge to us and our Client. 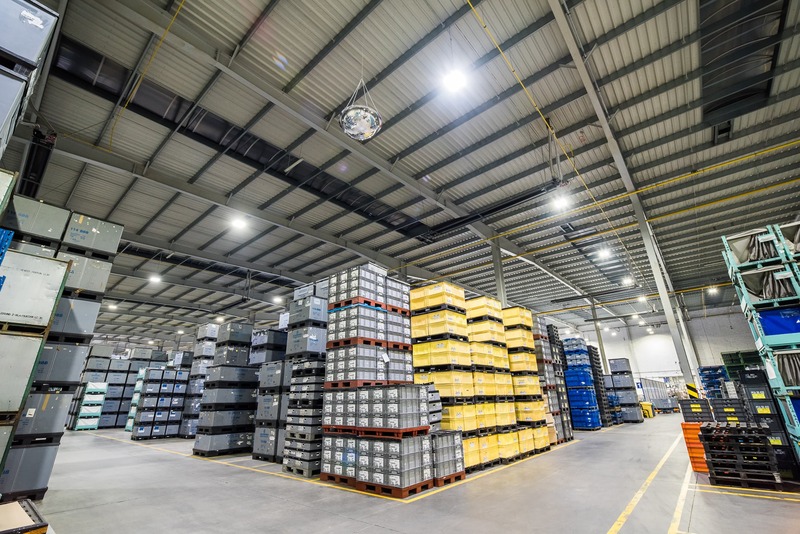 Highbay:LED and Industrial:LED luminaires were chosen for the implementation, together with the DALI control system, which creates optimal lighting conditions and allows cost reduction on electricity. In order to reduce operating costs, we conducted a thorough audit and upgraded all fixtures in the storage depot and the shed area. 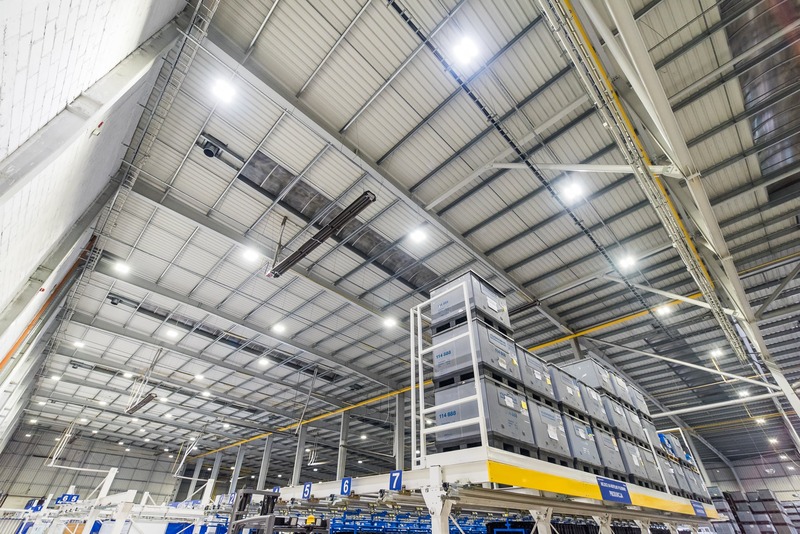 The environmental conditions at the hall were specific, we decided to mount our Highbay fixtures with ceramic diodes, which are more durable than their plastic counterparts. Plastic diodes are less resistant to higher temperatures; their overlay can contain traces of silver, which can corrode in presence of sulfur. 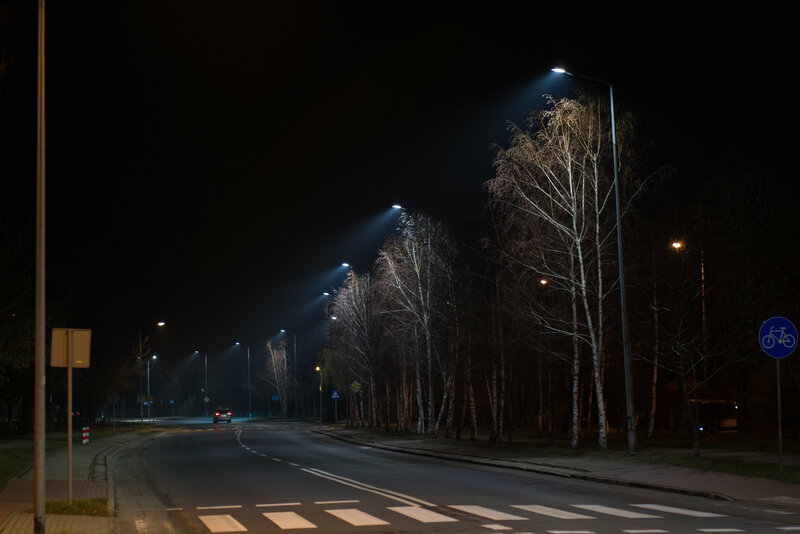 As a result, they can lose their lumen rating and the overall lifespan can be shortened. The applied ceramic diodes are better equipped to withstand higher environmental temperatures. What’s important their power factor (PF) is higher than 0,98. The power factor tells us how much reactive power is generated by the fixture. The closer the value is to 1, the lesser consumption is to be expected. In result, energy expenses are lower. The Customer also did choose a modern light control solution. 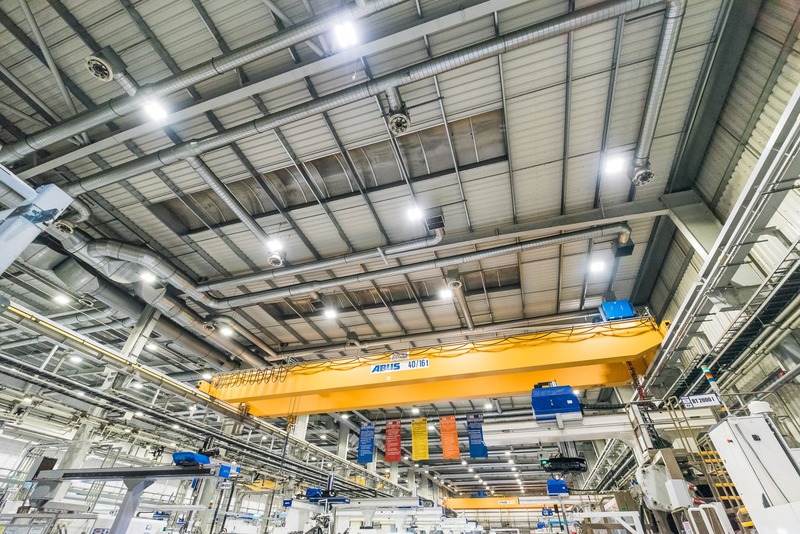 We implemented an intelligent lighting control system, throughout the whole facility, using Helvar’s industrial DALI solutions and additionally the halls were equipped with light intensity sensors. Due to a substantial presence of daylight, which enters the room through skylights, multi-sensors were installed. Substantial savings thanks to the application of the DALI system. Installation of industrial fixtures with a prolonged lifespan, confirmed by laboratory tests.